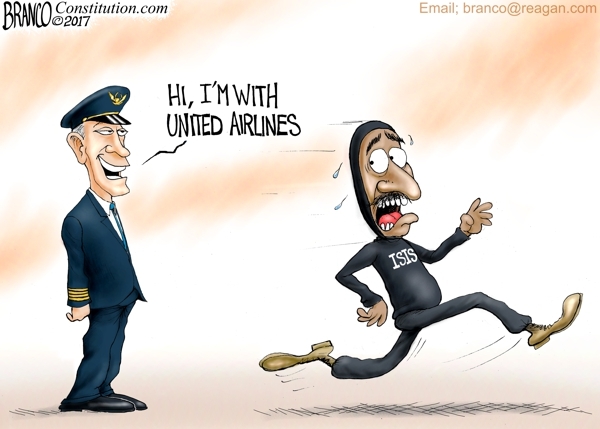 Cartoon: United Airlines Fight or Flight? United Airlines dragging a customer off the plane has placed their organization just below ISIS according to public opinion. Cartoon by A.F. Branco ©2017.